There are only five countries in the world that do not have an airport – all of these are in Europe. The worst year for aircraft hijacking incidents was 1969, with an average of 7 hijackings per month! The Hague Convention outlawed hijacking in 1970, which became an offence under international aviation law. United Airlines hired the first female flight attendant in 1930. Ellen Church was a registered nurse, and she set the trend for other airlines. However, the requirement for flight attendants to be nurses was relaxed at the start of World War II, because most nurses were enlisted into the armed forces. 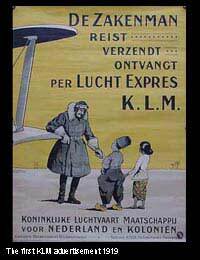 The world’s oldest airline is KLM, which was established in 1919. The Queensland and Northern Territories Air Service was launched in 1920 in Australia. In 1934, the airline changed its name to Quantas – now the second oldest airline in the world. The odds of dying from a bee sting are about 1 in 5.5 million. The odds of dying in an aircraft accident are about 1 in 7 million! For every one hour an aircraft spends in the air, there are about 12 hours spent maintaining the plane on the ground. ‘Black Boxes’ are not black – they are bright orange. First used in 1956, flight data recorders used film to capture information. Similar to a darkroom, the inside of the boxes had to be completely black with no light leakage. This is possibly where the term ‘Black Box’ came from. The aviation industry’s safety record is largely due to its reliance on procedures and detailed work instructions. Even American Airlines’ peanuts have clear instructions printed on the packets: “open packet, eat nuts”. Modern aircraft are designed to withstand forces measuring about 5g. The most severe ‘stomach-in-the-mouth’ turbulence is likely to be no more than 1g. The Wright Brothers carried out many experiments to determine whether their ‘aircraft’ would work. One of these involved cycling around the city of Dayton with a weight balanced on the handlebars. This was to work out how much ‘lift’ could be generated from the equipment. Singapore Airlines is the second largest buyer of Dom Perignon champagne in the world. A Boeing 747 on a long-haul flight will carry over 1000 kg of food and 1400 litres of drink for its passengers. British Airways order more than 6 tonnes of caviar each year, 22 tonnes of smoked salmon, 90000 cases of champagne and 40 tonnes of chicken each year. Passengers on Cathay Pacific flights can order freshly cooked eggs and toast, and there are even cappuccino makers onboard. American Airlines saved over $50000 by reducing the amount of olives served in salads for first class passengers. "Ladies and gentlemen, if you look on the starboard side of the plane, you will see what we believe to be a UFO!" This was the announcement made by the captain of a British Airways aircraft in the 1970s, south of Lisbon. Two other aircraft in the area also spotted the ‘object’, which looked similar in size to three large oil tankers. In 1995, a British Airways 727 was ‘buzzed’ by a UFO near Manchester. Passengers on one side of the aircraft witnessed the strange event, which was reported in the British press. And finally, even with all the crazy things you hear about air quality in aircraft damaging our health, pressurised cabins contributing to lung disease, and sitting in one place for hours at a time that may cause deep vein thrombosis, one thing to remember is this: if you travelled in an aircraft every day of your life, statistically it would take 19000 years before you suffered a fatal accident!